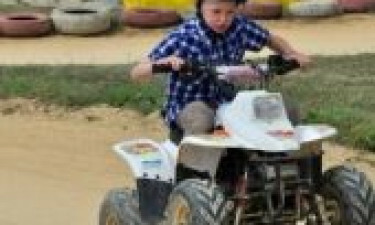 St. Avit Loisirs luxury camping site is situated in Le Bugue, in the Dordogne region of France. Veiled by a lush and leafy setting amid rustic Périgordin structures, this popular family tourist resort is close to the traditional French towns of Le Bugue and Bergerac. With a splendid array of mobile home accommodation on offer, your camping holiday is guaranteed to live up to expectations, so set the ball rolling by contacting LUX-camp today. Welcome to St. Avit Loisirs Campsite. What is remarkable about St. Avit Loisirs luxury camping? A choice of luxury tent and fully equipped mobile home accommodation. Premier swimming complex with a choice of six pools. Prime evening entertainment for all the family to enjoy. Convenient direct access to nearby lake for fishing enthusiasts. St. Avit Loisirs holiday resort sports a wondrous swimming attraction that is hard to beat. There are six heated lagoons to choose from, both indoor and outdoor. There is a crazy river feature as well as multiple slides and waterfall structures. Children will be particularly entertained by the dragon and flamingo fountains that spout water. It also means parents can sit back and relax while supervising younger ones enjoying the fun and frolics. 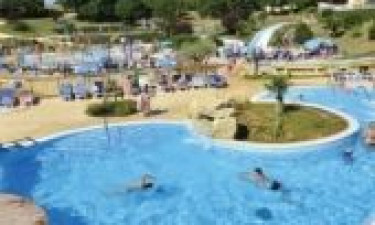 If you still have not had your fill of water-inspired activities, you can always plan a day excursion to the nearby Bergerac Aquaparc. The park has direct access to the adjoining river, which is perfect for canoeing. The site has a host of games rooms where you can participate in air hockey, video games, pool, table football and table tennis. The onsite friendly staff regularly organise sports tournaments and quizzes, while evening entertainment includes bingo and karaoke sessions. There are tennis courts and a football pitch and you can even go quad biking. There is also a driving range and a 12-hole crazy golf course. The local lake provides great fishing opportunities and if you just want to soak up the lush countryside, there are many walking trails - or you can rent a bike and cycle around the surrounding areas. The site is only 6 kilometres from the charming market town of Le Bugue, perched upon the Vezere River. Amble across the town's bridge centrepiece or wander along the banks? It is also the home to the Church of Saint-Sulpice and the town hall. Also nearby is the quaint and charming village of Roque Gagéac, which has deservedly earned a reputation for its idyllic appearance. The houses are carved from the majestic cliff face, which is home to many curious caves. The resident botanical garden is also worth a visit. 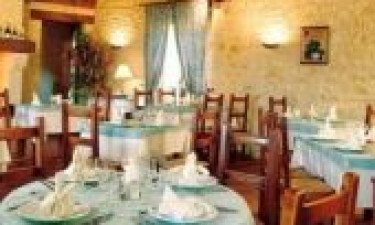 On your return to the site, you are bound to have worked up an appetite - so why not dine heartily at the resident restaurant and enjoy a glass of wine in the bar afterwards?